Frequantly Asked Questions : Pure Essential Oils. Quality of the essential oils from BOTANICESSENCE? Why the price of essential oils is different? Is that necessary to use pure essential oils? Why don't we use fragrance that's much cheaper? What product category do you have? What is the price different between BOTANICESSENCE and other essential oils retailers? Where is your location? Do you ship worldwide? How long for delivery? Can I place the order without registering for an account? Do you have a retail store that I can visit and test the products? How many days will the order dispatched once the payment completed. What if package lost or damaged during transportation? How I can contact you if I have further questions? Quality of each essential oil depends on many factors such as place of origin, weather, altitude, time of harvest, process of distillation and knowledge of the distiller. 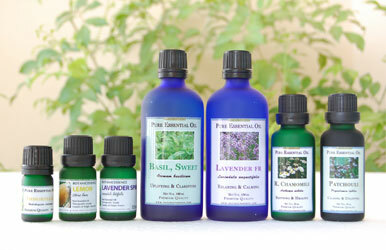 We carefully choose all of our essential oils from the most appropriate source of growing and harvesting. Each source are either located on the origin of each plant or the best location for growing that plant. For example, Lavender from France, Rose from Bulgaria, Frankincense from Kenya. Each distiller is the most trusted and only offer the top quality essential oil that match with standard specificition to ensure it's quality. Our distiller are both small expert distiller that produce only specific essential oil of their expertise or major essential oil producer from European countries that farming and distilling many plants around the world. Only one way to exactly know the purity and quality of each essential oil is to perform a full range analytical testing. Currently, Gas Chromatography / Mass Spectrometer (GC/MS) is the best method. Anyway, it's quite difficult to obtain this test or not worth to do this expensive test for just small amount of essential oil. There are many essential oils commercial grade, or even fake, diluted with synthetics in the market that harmful to your body. The best way to ensure that you've what you pay for is to buy from trusted sellers. List of essential oils offer by each seller should be a reasonable pricelist. Should be neither cheap, expensive nor all the same price!, but must be mixed together. For example, Orange, Eucalyptus, Lemongrass, Tea Tree or Rosemary should not much expensive. Lavender, Geranium, Ylang Ylang should have a fair price and Rose, Jasmine, Immortelle, Sandalwood should be highest. If you find seller that sell expensive oils too cheap. If they can not provide a good answer about essential oils, if they can not make you trusted, Think first before paying your money! 1. Quantity of Raw Material: Some essential oils require tons of raw materials to obtain just 1.0 kg of essential oil. The essential oil of these should not be cheap commercially. For example, Rose Oil require 3 tons of rose petals to distill 1.0kg of Rose Otto. The price of authentic Rose Oil should be very expensive. 2. Yield : Some plant offer very low yield of essential oil. If any plant that offer high yeild, the price should be less expensive than the low yield plant. For example, Orange peel offer high yield of Orange essential oil, so, the price of Orange Essential Oil will be quite cheap comparing with other essential oils. 3. Method of Extraction : The extraction process has different cost. Mechanically Cold-Pressed seems likely to be cheapest method. Steam distillation and Solvent Extraction is a bit higer cost due to is factility and SFE-CO2 is considered the most expensive extraction method. 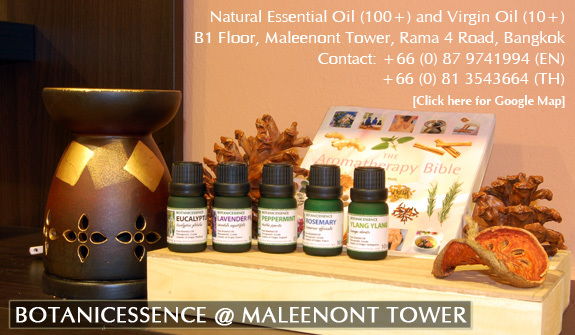 BOTANICESSENCE Essential Oils selling only top quality essential oils. The price of some essential oils could be very high, but it's not expensive and worth every dollars you pay to us. You can be sure that at BOTANICESSENCE, the oils are authentic & 100% natural. But if you prefer a better life's quality and concern about the therapeutic benefits of each scent that good for health, not harmful to skin, respiratory system and other system of your body in long term. You should use only pure essential oil. Because the "natural" things always better and good for health than "synthetic" things. Pure essential oils combined with many natural substance that's quite different than synthetic fragrance that made from few synthetic ingredients. All substance of pure essential oils can be absorbed and eliminated from body within a day, while the synthetic fragranc is more difficult to be eliminated from the body, that could be harmful in long term. We have 5 different product category. BOTANICESSENCE is the retailer that offer the widest range of top quality essential oils in Thailand, could be in South East Asia. We position and aim ourself as one of the most trusted source of top quality pure essential oils for all customers. We always concern about the budget different of customers from each countries, so, we set the best price for all essential oils, but the quality still second to none comparing with worldwide retailers. 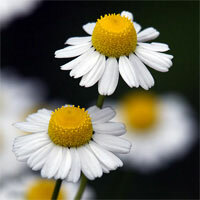 Five important reasons that BOTANICESSENCE can offer top quality pure essential oils much lower than others. 1. We buy all essential oils directly from the distillers or major suppliers around the world. 2. We sell our essential oils directly to the end-users. No need to share our profit with the shop or distributors (30-50%). 3. We have effective cost control. We're just small company, our fixed cost is very low. 4. Our main market is in Thailand and SE Asia, we can not set very high price just like US or EU. 5. We do not have hidden cost that not related to the product quality such as compensation plan, commission or marketing cost. The reason that we can offer the best price to our customers because we are trying to import our essential oils directly from the producers. Anyway, we do not choose the cheapest producer, we always follow our standard of quality as explain earlier. We have 8 years experience on studying about essential oils. The oil must be 100% authentic and natural, direct from the origin and the producer must be trusted. You may see that if looking only the price different, BOTANICESSENCE is not offer the cheapest price essential oils. But in term of specific detail of each essential oils including species, chemotypes, grade. You can be sure that our price is good. Only retailer shop of essential oil producer themself that can sell cheaper than us, but in limited range of oils. We are small company based in Bangkok, Thailand. We're importing the top quality pure essential oils from worldwide distilleries and guarantee that we're one of the best essential oil retailer and selling at competitive price. We ship our products worldwide. We normally ship our pure essential oils to nearby countries every month. The approximate time of delivery for normal shipping method (Registered airmail via ThailandPost) from our records is 1-3 business days for domestic order and 9-12 business days for international order. Tracking number can be provided for all orders. For the expensive or big volume orders, we may consider us FedEx, depends on appropriate choice. Regular : Hong Kong, Japan, Malaysia, Singapore, South Korea, United States. Others : Australia, Brunei, Dominica, Germany, Ireland, Phillippines, Russia, Saudi Arabia, Taiwan, UAE, Vietnam, United Kingdom. All customer are requested to registered for an account before placing an order. We understand that some customers may not feel comfortable to give the private information to small website, but our registration process require only information that necessary for sending the order (Name, Address, Email or Telephone Number). We do not need more than that and we will never send any junk mail to you too. Your password also encrypted before keeping in our database system so no one knows your password. In case you've forgotten your password, we can only reset the password and you will change to the new password on your own. For international payment, we currently accept only the payment via Paypal (www.paypal.com). It's the most safe and secure payment gateway. But if you're in Thailand or you know someone in Thailand who can make a payment for your order, we can accept the payment to our local bank account via Online Banking, ATM Transfer or Direct Deposit at local branch. Once the payment confirm received. We will do the best to prepare your order as fast as possible. The normal preparation time is approximately 3-5 business days. The maximum should not be over 5 days except there are some weekend or national holiday during that time. After that, the order will be shipped an the tracking number will available. The order should be delivered into your hands within 9-12 business days. The delivery time by post could be a bit later in case of Christmas or New Year holiday. Normally, all orders will need 3-5 business days for order preparation before the order shipped via ThailandPost by Standard Airmail, which takes another approximately 9-12 business days (2-3 Weeks) for delivery to your address. The total days required after payment confirmed receive will be approximately 12-17 business days. Preparation time = 3-5 business days. Delivery time by ThailandPost SAL service = 20-30 business days. Delivery time by ThailandPost EMS = 9-12 business days. Delivery time by ThailandPost EMS = 4-6 business days. * EMS Next Day service is not eligible for "50% shipping discount if over $20 USD promotion". Hotel Delivery (Within Thailand only) (3-5 business days). We ship by EMS to hotel address in Thailand only. Customer must provide Hotel name & address, Guest name, Check in-out date. Room number is optional. Preparation time = 2 business days. Delivery time by ThailandPost EMS = 1-3 business days. Total = 3-5 business days. All orders will be shipped with standard registered airmail by ThailandPost except some order that we may choose EMS or other service. The service is quite reliable and only few record per year has found delay / damaged or loss. The customers do not need to pay for the insurance but we will consider by our experience for each order. In case of delay, it should be delivered within 2 weeks after the standard delivery time. In case of package loss or damage, we will send the new one with no extra charge. Please email to us botanicessence@yahoo.com or call +66 (0) 81 3543664 (Thai) or +66 (0) 87 9741994 (English).